The elegant business ready ultrabooks powered by Intel, Dell XPS 13 ultrabook, an upgraded version of Dell XPS series was launched at Consumer Electronics Show in Las Vegas. With its exquisite design and premium features it procured much attention in the show. The series possess an exclusive thin bezel design. It has an attractive curvaceous silver aluminum body with a black Dell logo in the center of the lid. The bottom part of XPS 13 is made out of carbon fiber and it is covered with a thin rubberized coating that keeps the laptop firmly in place make it more comfortable while typing. The display imparts a solid feel due to the bonded Corning Gorilla Glass used. The Dell XPS 13 features an IPS 13.3 inch Ultra Sharp infinity touch display. XPS 13 comes in models of 1920 x 1 080 pixels resolution and a QHD touch screen with 3200 x 1800 pixels resolution. The screen has 170 degree viewing angles and 400-nits of brightness. The dimensions of the laptop are 30.48 x 20 x 1.52 inches and weigh about 1.17 kg for the base model and about 1.27 kg for a model with touch screen. Dell has given options to choose from a range of Intel Broad well processors- Core i3, Core i5, and Core i7, RAM- 4GB or 8GB, and solid state storage- 128GB to 512GB.The other specifications are Bluetooth 4.0, two USB 3.0 ports, Wi-Fi 802.11ac connectivity, a Mini Display Port, an SD card reader, and a bright-blue backlit keyboard. It has a webcam of 720 pixels. 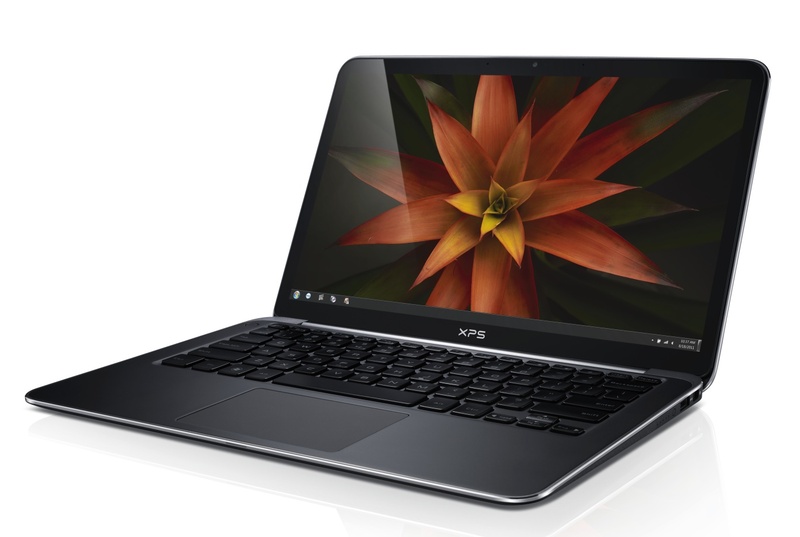 XPS 13 ultrabooks offers 15 hours of battery life with its 52 Wh battery. Sharp’s display technology used in the model gives this prolonged battery life. XPS 13 can support the Dell Power Companion accessory that can provide up to 8 hours of extra power for customers who is need of additional battery life. The product comes packed with operating system Windows 8.1. And about the prices, the base model of Dell XPS 13 with Core i3 and 1080p Full HD non-touch display costs $799 with the higher models in the series being more expensive.